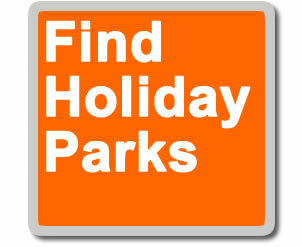 Find Holiday Parks is pleased to say that holidays with Canvas Holidays in France are now available through this web site. This adds some great new parks in France to the Find Holiday Park directory and also means that there is even more choice at some of the exisiting parks listed on the site. Enjoy a mobile home holiday in Brittany. Canvas sites are a short drive from the ferry ports making them the ideal destination for a family camping holiday. Discover Brittany’s strong cultural heritage – the coastline is a maze of rocky coves and sandy bays, yachts and fishing boats, and delicious local specialities include freshly brewed cider, shellfish and crepes. Enjoy a mobile home holiday in one of France’s most fascinating regions – there is a wealth of history to discover, from the Bayeux tapestry to the D-Day landing beaches and memorials. Why not take a camping holiday close to France’s capital city? Paris is a romantic city best explored on foot, and the nearby Disney® Resort Paris themeparks are a fun day out for the whole family. The Vendée, Royan and the South-West are perfect for a family camping holiday in France. Mile upon mile of sandy beach awaits, where the waters are ideal for swimming and watersports. To the south, the Bordeaux region is the wine producing capital of France – visit the many vineyards and châteaux nearby to taste and buy. Languedoc Roussillon and the Côte d’Azur are home to some of Frances most popular destinations for a family camping holiday. Mile upon mile of golden beaches and chic resorts await – the long, hot summers are popular with families of all ages. Discover a relaxed pace of life, plus some delicious regional specialities – the local markets are not to be missed. If you want to appreciate the beautfiful French countryside then Canvas has a selection of parks perfect for exploring the area. A superb location for a mobile home holiday in France. Discover lush green countryside, rich vineyards and charming châteaux. Explore the vivid and varied scenery by boat or canoe. There are plenty of family activities to discover from wine tasting to cycling by the river, or a thrilling day out at a theme park. This is an area of outstanding natural beauty, offering wide open spaces, clear flowing rivers and an abundance of wildlife. Explore the delightful towns and villages – many offering medieval ruins, or discover the stunning countryside on bike or by foot. Three regions of spectacular scenery offering something for the whole family. Burgundy offers rolling hills, fabulous wines and beautiful waterways. The Jura is characterized by its dense woodland, sparking lakes and cascading waterfalls. The French Alps is a giant playground for all outdoors enthusiasts – explore snow capped mountains, flower filled meadows and crystal clear lakes. Canvas Holidays is the latest holiday park operator to be available via Find Holiday Parks which now means that you can view some great parks with Eurocamp, Keycamp, Siblu, Thomson AlFresco and some independent operators.